In early 2017, Pharos met with leading Malaysian hepatologists and Ministry of Health officials to discuss how we could best support HCV scale-up ambitions in Malaysia. It was agreed that Pharos’ technical support would be most needed in modeling cost-effective screening strategies that would enable national treatment scale-up. Through continued deep collaboration with the University of Malaya and the Netherlands Institute for Health and the Environment, Pharos is estimating screening coverage and associated costs of potential screening strategies that combined targeting of key populations and decentralized general population screening. As treatment costs continue to decline due to breakthroughs in technologies and affordability, more attention and priority will be placed on the design and efficiency of screening programs as countries look to identify patients to initiate on treatment. 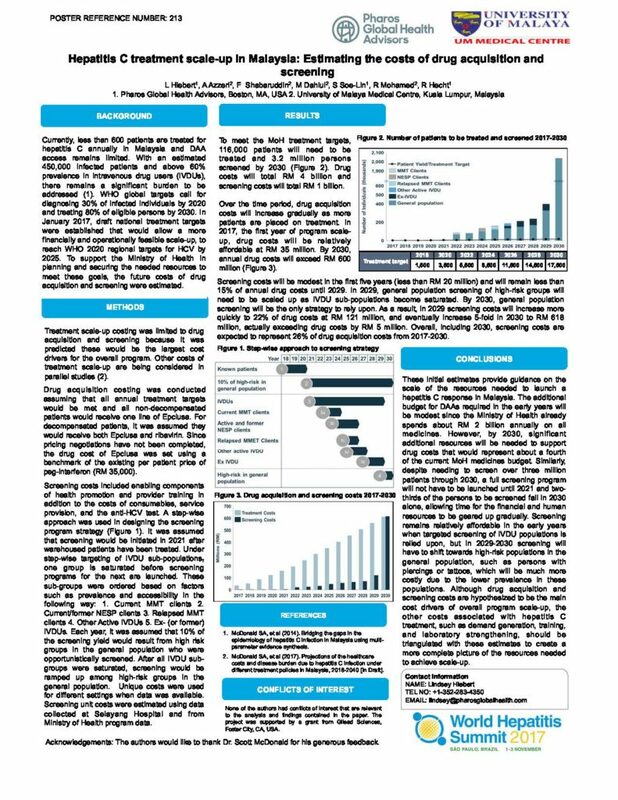 This poster describes the preliminary findings from our analyses on the coverage and costs required for a screening program that would allow the treatment targets to be reached for elimination. We partnered with the University of Malaya, who conducted the treatment costing, to compare the costs of screening and treatment. 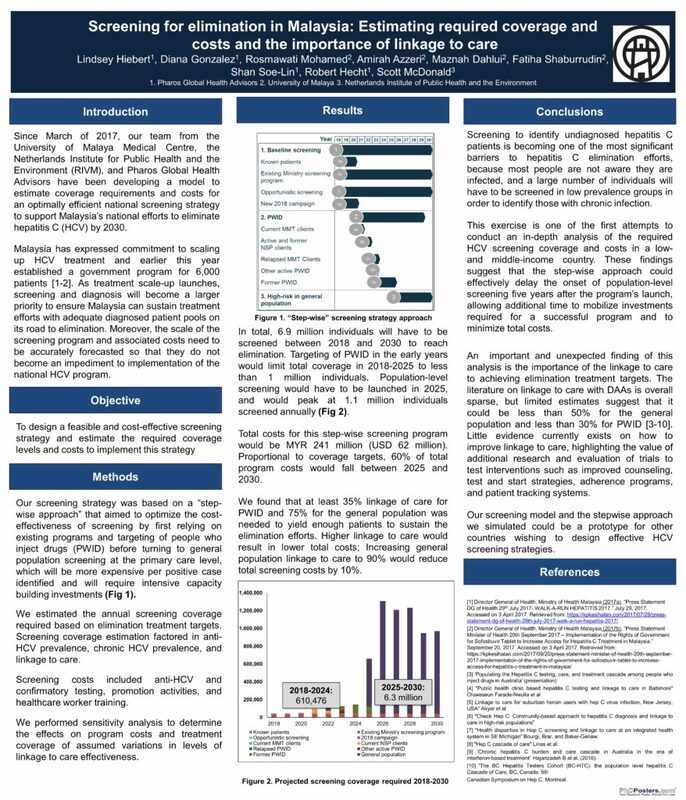 Our most recent poster reflects important updates to our approach as we better represented existing screening efforts in the step-wise approach and reduced input prices for anti-HCV and confirmatory tests based on expert opinion.